Why in the World Are NASCAR Teams Putting Emojis on Race Cars? 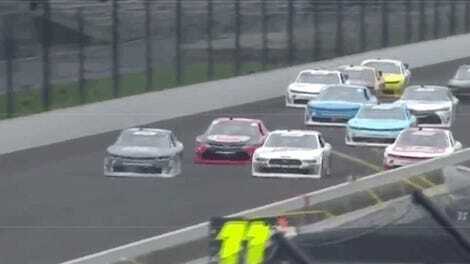 If you’re watching NASCAR this weekend wondering why the hell there are big white squares with cartoons on side of the cars, you are probably not the only one. I’ve been seeing plenty of posts on Twitter, and I just have to ask… why? Why. Dear God. Why are we putting emoji decals on race cars. Why did no one think about, um, getting rid of all that tacky white space? Why? Why? Well, according to ESPN, this is basically a way to try to #engage the #millennials. Dear God. 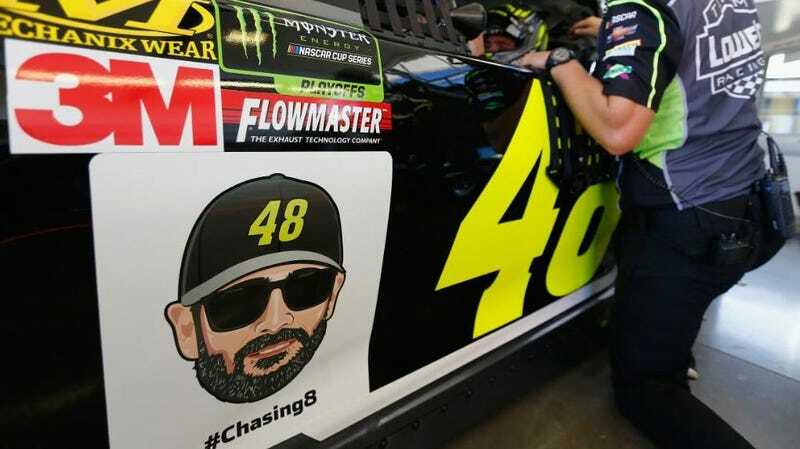 The Monster Energy NASCAR Cup Series teams have teamed up with the Race Team Alliance and Twitter to celebrate the playoffs by unveiling customized hashtags and emojis for all the drivers competing in the championship. This isn’t the first time they’ve developed Twitter hashtags with accompanying emojis for the playoffs. This is, however, the first time they’ve added the emojis to the car. And it is very, very bad. The concept itself isn’t terrible. Yeah, it’s a way to try to increase engagement. That’s what a racing series aims to do with their social media. It’s kind of neat to have NASCAR worthy of the cute lil emojis that usually only accompany big events or movements. It’s also pretty cool that the drivers have a say in what they’d like their design to be. However, it is also… so much to actually put those emojis on the car. I mean, okay. I understand brand recognition. You put the emoji on the car, it might remind you to make a tweet. I guess. There’s just something about “emoji on race car” that reminds me too much of “DogeCoin sponsored race car” and makes me want to cringe into an alternate dimension where emojis are strictly forbidden from being incorporated into a livery. We’re thrilled to partner with NASCAR and the race teams who share Twitter’s passion for providing fans direct access to the drivers they love. It’s a special program - NASCAR and the teams inviting fans to engage by literally extending the top 16 drivers’ Twitter accounts all the way to the track. I can’t particularly say that a poorly executed emoji makes me want to #engage with the brand on the interwebs. It seems a bit like something a group of Older Folk decide would be a great idea because they keep hearing this weird word (‘emoji? The heck is that?’) tossed around and it would be cheeky to slap that bad boy on a car. The kids will love it! Please, folks. Tell me what you think about this. Explain to me why this needs to happen. Tell me if you actually plan on utilizing these hashtags. Tell me if you actually think white-on-off-white emoji-on-race-car looks nice. I need to understand. The kind of energy I&apos;ll be carrying with me this Monday morning.